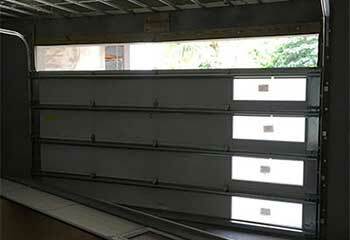 On this page you can find some of the latest projects that our garage door experts completed. If you're looking for more information, take a look at the rest of our website, or give us a call. Customer Issue: Ms. Floyd wanted to have her new garage door installed professionally. 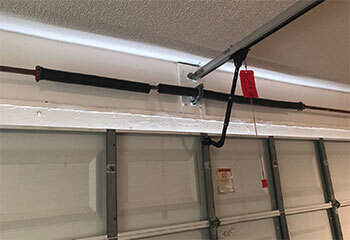 Our Solution: Our customer had already picked out her new Amarr Classica style garage door, so our team got to work disconnecting the original door to remove it for her. The new door was then carefully installed into place and checked to assure it was moving properly. Customer Issue: Motor gear broke. 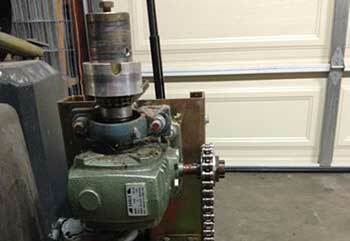 Our Solution: The excessive noise immediately alerted us to the fact that something was wrong with the motor gear. It had in fact, broken, so we replaced it with a new one that was more durable, and then tested the opener a few times to ensure nothing else was wrong. Customer Issue: Looking for a new opener. 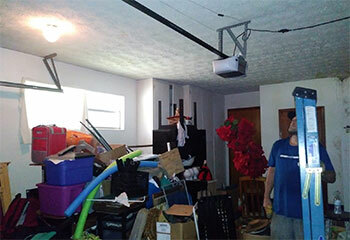 Our Solution: We examined the customer's garage to see how much headroom and backroom space they had available. We then suggested a few different models, and Mrs. Orenstein decided to go with the Chamberlain B970 model, which is an ultra-quiet belt drive opener. We removed her old chain drive unit, installed the new model in its place and then secured it to the door and tested the mechanism several times to ensure it operated efficiently and smoothly. Customer Issue: Broken garage door spring. Our Solution: The door panel nearly got damaged, but luckily the lift cables managed to keep them from slamming to the floor. We replaced the damaged spring, and then checked the cables and replaced them as well, as we found noticeable fraying.